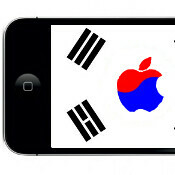 South Korea hasn’t exactly been Apple’s stronghold as the country is home to one of the biggest phone makers in the industry – LG and Samsung, but nevertheless the iPhone has enjoyed sales of over 2 million after its launch in 2009. Now, this number might grow even further as Cupertino has hired former Vice President of LG’s Smartphone Business Dominique Oh to serve as the company’s new general manager in Korea. The information comes from an industry source quoted by Korean news agency Yonhap said, on the assumption of anonymity. Oh, who comes to replace Andrew Sedgwick as a general manager, was responsible for the Android and Windows Phone 7 portfolios of LG, but he also managed carrier relationships and other potential partners. A long time telecoms veteran, Oh might be a great asset for Cupertino which can use his inside knowledge of carrier relations to further strengthen its positions in Asia. But it's Apple's preparation for May 19th that intrigues us the most as the company could announce everything from a back-to-school promotion to a new product in the coming days, so stay tuned. God knows Apple maybe going to buy LG? !